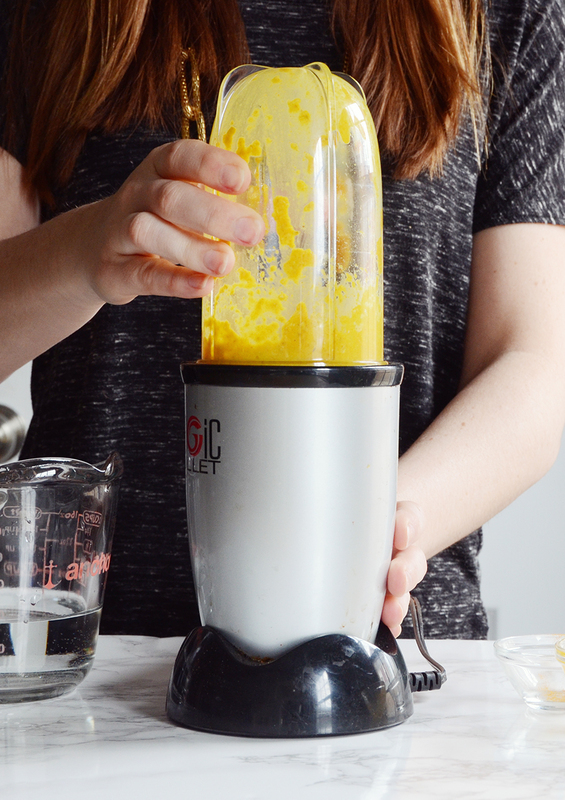 Turmeric has been growing in popularity lately, ever since it started being touted as one of the newest superfoods. And with good reason – it has numerous health benefits, thanks to its anti-inflammatory properties. It is great for skincare for the same reason; those properties help eliminate painful acne and other skin conditions. 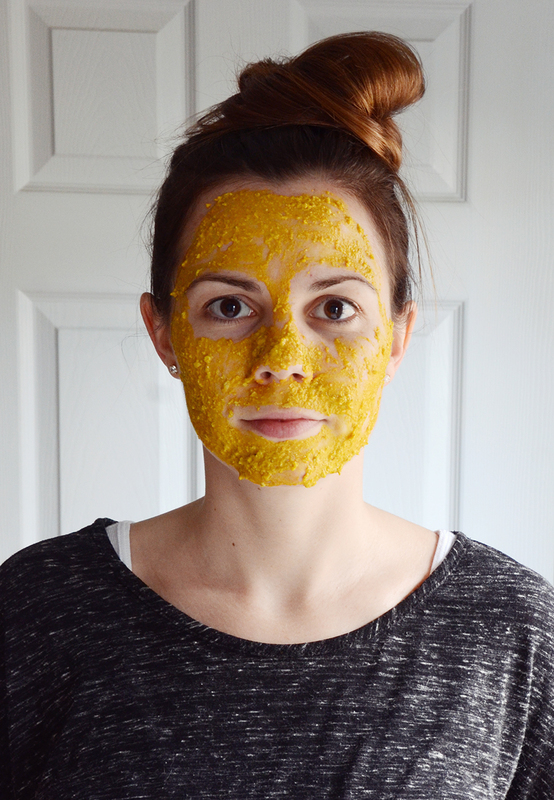 So today we’re sharing a healthy face mask recipe using turmeric to help give your skin its youthful glow back after a long winter. 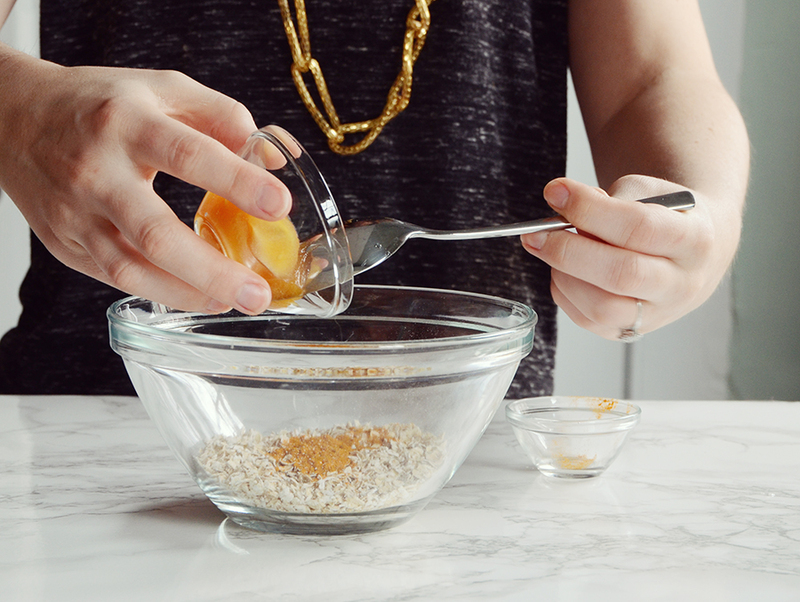 Begin by pouring the turmeric and honey into the oatmeal. If the honey is super thick like mine is, heat it up in the microwave for 5 or 10 seconds. 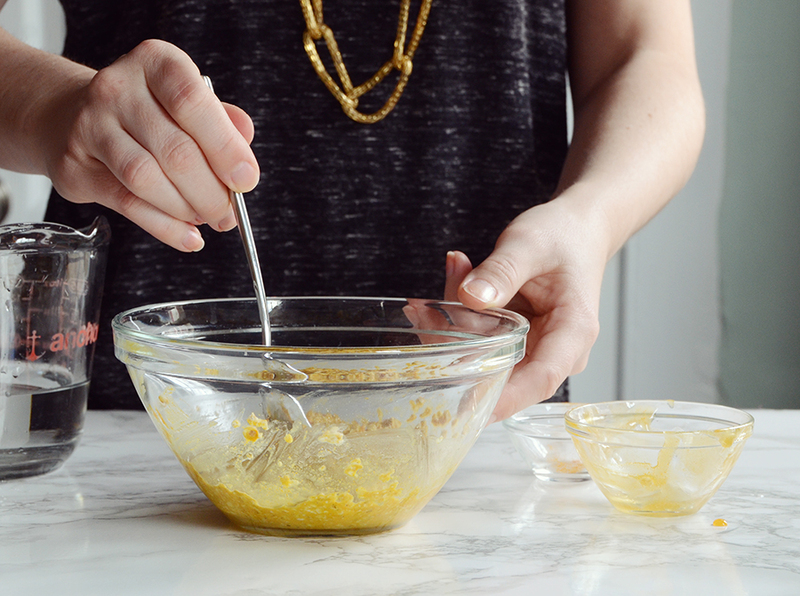 Mix everything together – it should form a super thick paste. Add about a tablespoon of water and keep mixing. Add more water until it becomes the consistency of lumpy hummus. Use a blender to blend it into a pasty consistency, eliminating any large lumps. Apply it to your face and leave it on for 5-10 minutes. Wipe off the excess with a paper towel and toss it in the trash, then rinse thoroughly in the sink with warm water. Finish with a layer of your regular facial moisturizer. Be sure to wear old clothing, as turmeric can stain fabric. 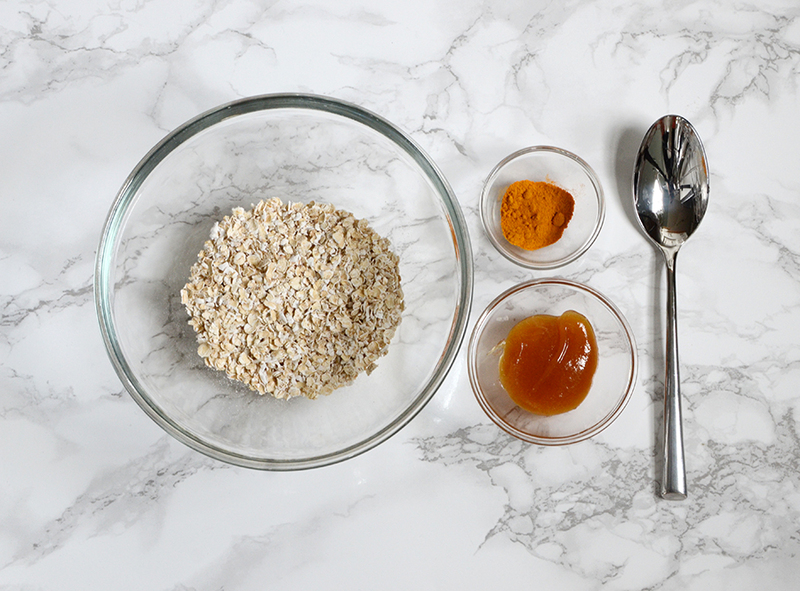 In additional to the anti-inflammatory benefits of the turmeric, the oatmeal will help cleanse and moisturize your skin. And the honey is a humectant, which means that it draws moisture from the air and hydrates what’s underneath. So you can be sure that this mask will do all the right things for your tired, dry skin!